Brother P-Touch TC Tape Cartridge for P-Touch Labelers, 1/2"w, Black on Yellow - Tape cartridges feature standard adhesive designed for flat surfaces like office paper, file folders and binders. Lamination resists water, grease and grime. Use in hot and cold environments as well as outdoors. 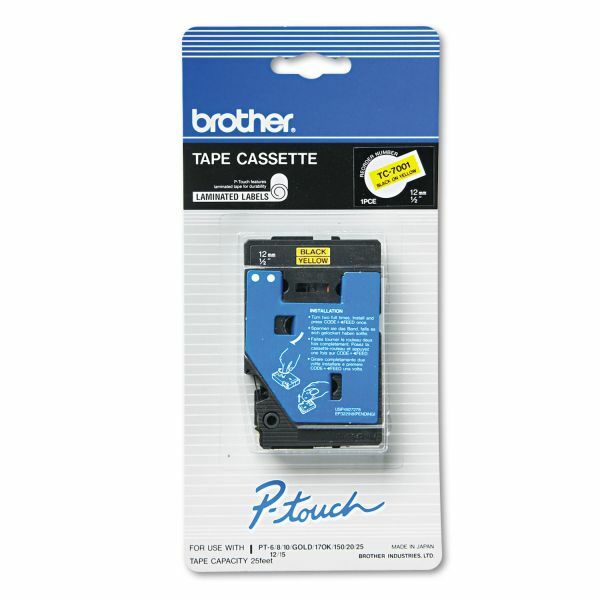 Tape cartridges are designed for use with Brother PT-6, 8, 10, 12, 12N, 15, 20, 25, 150 and 170K labelers.